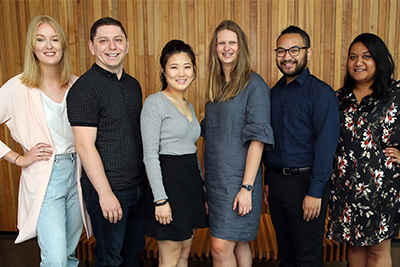 AUT’s Graduate Research School offers researcher development support and services for postgraduate research students at AUT. We have overall responsibility for policies and procedures for postgraduate research programmes at AUT. The Dean of the Graduate Research School, Professor Marion Jones, is the Chair of the University Postgraduate Board, which creates and administers AUT's policies on postgraduate study. Need help or have a question? Contact the Graduate Research School.